As you probably know by now, the gold Apple Watch Edition has an eye-watering starting price tag of $10,000 and tops out at $17,000 (probably a lot more for the celebrity-only version). However, the five-figure price tag didn’t stop a crafty YouTube user from putting the wearable through an original torture test. The setup involves an “entry-level” 38mm Apple Watch Edition and a duo of powerful neodymium magnets. The latter are used in a number of high-tech industries and, depending on their size, can generate a massively crushing force. 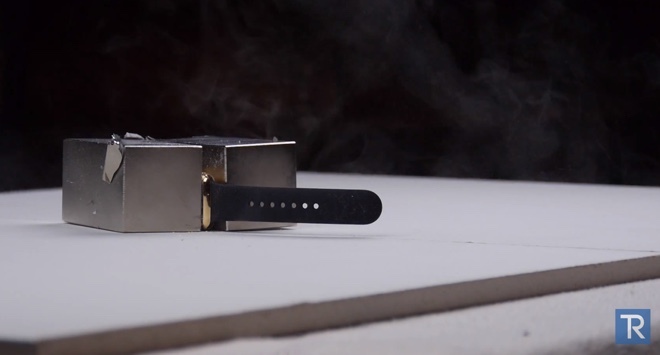 In the case of the video below, the magnet bricks create a beefy 650 pounds of force (about 295 kilograms). Here’s what happens when you put the gold Apple Watch between them. What do you think of the video above? Drop us a line in the comments!